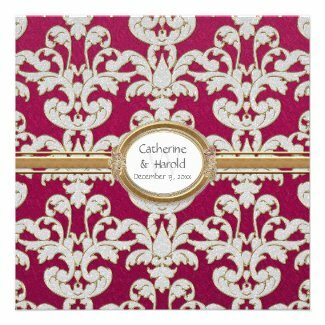 Elegant and classic, damask style wedding invitations look beautiful for nearly any type of wedding. You can choose from many different paper styles including scalloped, ticket style, and rounded edged. Available paper types include felt, recycled and environmentally friendly papers, linen, metallic and more! Most come with coordinating RSVP, stamps, and everything else you need for your unique and special day. Be sure to check for the latest discount codes on our Wedding Invitation Discount page!